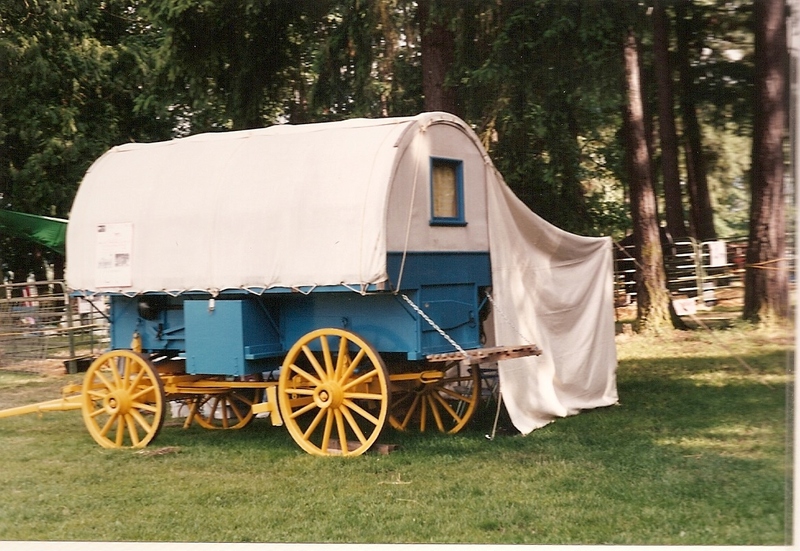 This wagon gear was purchased from Ed Hewson in 1989 . He had brought it home from Cameno Island and was going to refurbish it. The gear at that time consisted of two axels with bunks and wheels. It had no reach, tongue or brakes and had two wheels in need of repair. We made the repairs, fixed the wheels, made the missing parts & pieces and got it painted a very nice straw yellow. The wagon running gear was then complete and ready to be used. Ed looked at me and asked, “OK, now what are you going to do with such a nice wood wagon gear?” After having been on several wagon trains riding a saddle horse and having my bedroll hauled around by somebody with a wagon, I told Ed, “We are going to have a sheepherder’s wagon to haul all our stuff and to sleep in.” We got to work using a copy of Ivan Collins’ working drawings and Ed, Wayne & I built the sheep camp in 10 days. Let me tell you the shop looked like a disaster site. 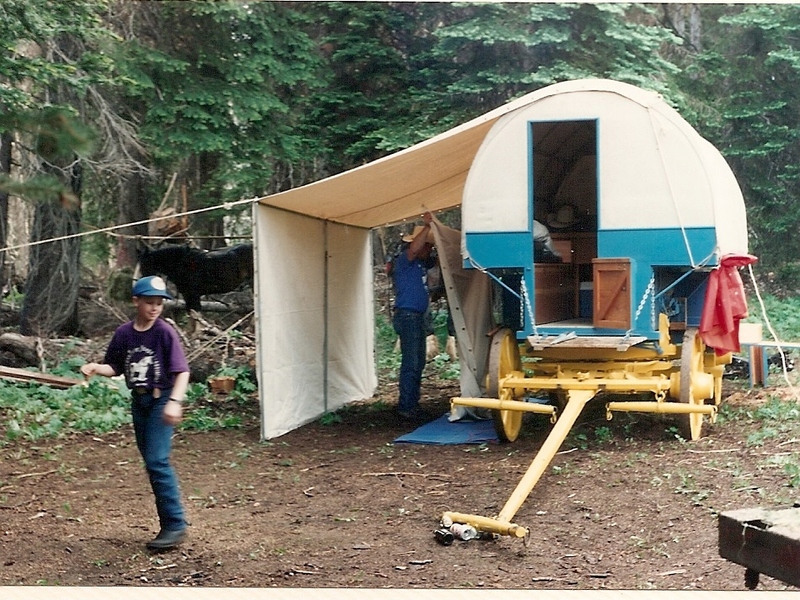 The reason we built it in that time frame was that we were going to use it on the annual WDHMA wagon train for its maiden voyage. It made that trip and many more over the years. It is built from a working drawing that was taken of a Studebaker Sheep Camp that was sold in Utah around 1910.